In fall 2014 the curator Elvira Dyngani Ose did a research trip that took her to several locations in Sweden. 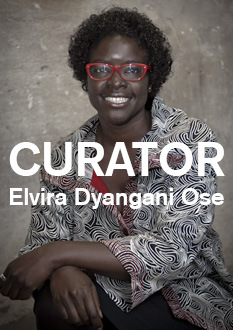 In conversation with GIBCA Elvira Dyngani Ose talks about her impressions of Sweden, its art scene and the questions that she thinks will be central to GIBCA 2015. GIBCA: You are also inspired by the Italian writer, philosopher and historian Umberto Eco’s notion ofthe open work and how that possibly can be used as a tool or methodology in the writing of history. What potential do you see in Eco’s concept? Image Courtesy Göteborg International Biennial.